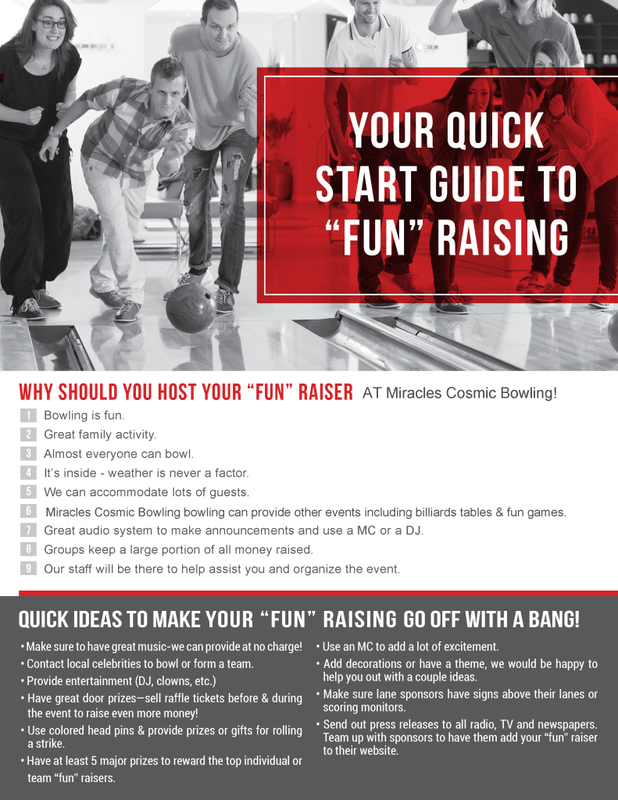 Miracles Cosmic Bowling has many great Fundraising ideas and events for lots of groups. Many local school groups have raised money to help their sports teams, music departments and much more. 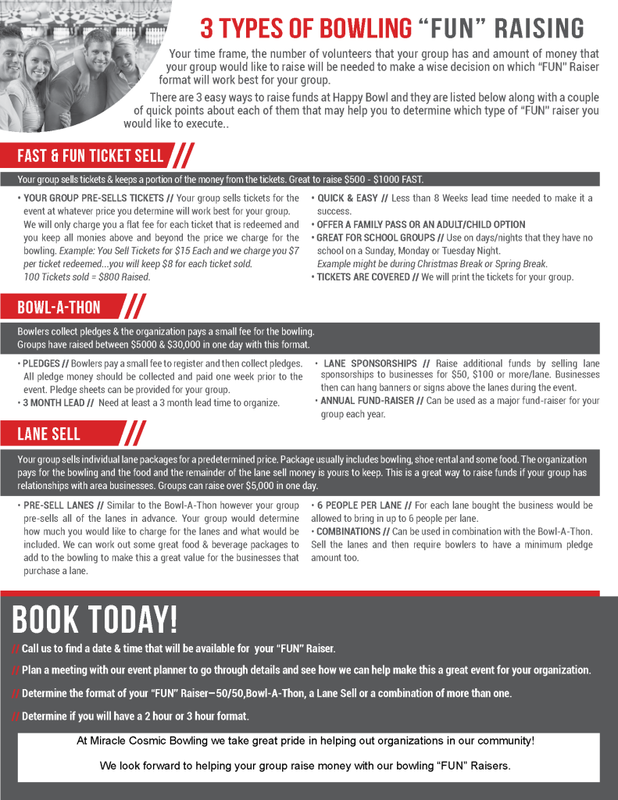 Bowling is a great fundraiser for churches, charities and other organizations too! Give us a call at (706) 529-8760 to start planning your event now!